I use cheap-forex-vps. They have data center for US and Europe. Their service is good and fast response. The company is also rated as one of the top 5 VPS company in many sites. I recommend this one "socialvps", very cheap enough to run 3 to 4 MT4 teminals. Hi, Not being very technical or having experience on VPS use, can anyone tell me what technical requirements on a provided vps service is required to run one ea 24/5? tks, your advice is appreciated. It would be better if you will specify for which broker you are looking VPS. 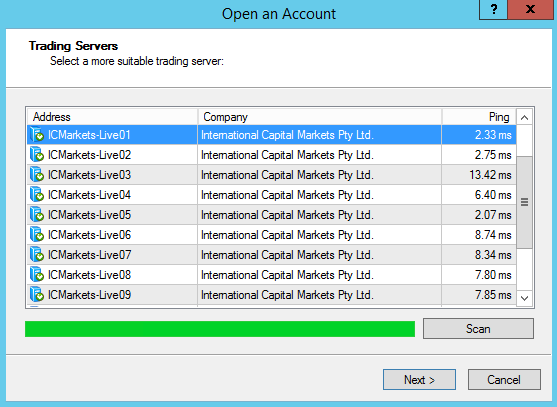 You can ask broker support for get info about their server IP adress and search for lowest latency to broker server. I'm using SocialVPS.net and run 4 terminals. My account is Classic Standard with monthly cost less than US$10 and so far I've been using it for a year without problem. Latency is very low. You can choose between server location in NY or Amsterdam or any other location that same with your broker location. The add On that I choose (Ultra Low Latency). My latency is less than 2ms. Ping to ICM with normal VPS is appprox. 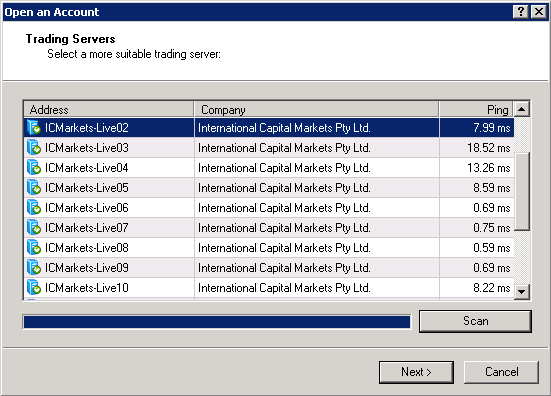 2 ms.
Ping to ICM with Scalping VPS is as low as 0.6 ms.